The PIG system is ideal for the recovery of any product remaining in a pipeline at the end of the transfer process. 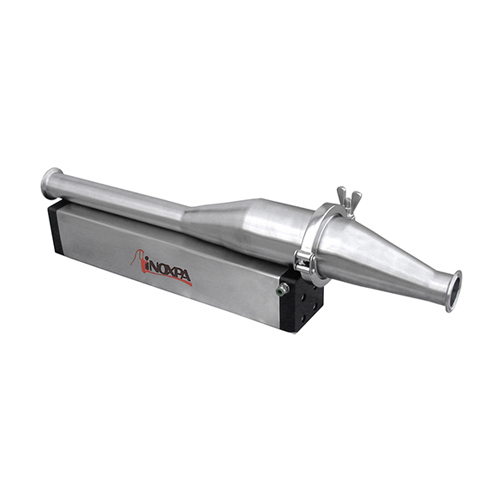 As this product can be of a high value the PIG system recovers the product removing it from the pipelines and preparing the pipeline for a CIP process. Another benefit is the reduction of the fluid sent to the sewage treatment plant that results in saving energy and water. The main application of the system is viscous media. Among the products treated there are gels, creams, ointments, emulsions and other products of high value in the pharmaceutical or cosmetic industry. The STERIPIG system offers a completely hygienic product recovering solution because no component enters or leaves the installation. The sphere is positioned by external magnet. During the CIP process, when the flow rate is sufficient, the sphere gets free inside the launcher or receiver avoiding any dead leg zones between the pipeline and the sphere. The system includes a launcher, a receiver, a PIG (a sphere), two position detectors (one for the launcher and the other for the receiver), four automatic butterfly valves and two KH three way valves. The process starts locating the sphere in the launching position. Then the sphere is driven by a propellant (normally compressed air) down the pipeline to the receiver recovering any product left in the pipeline. 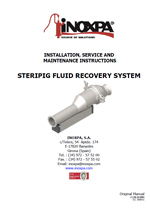 When recovery is complete, the PIG is situated at the receiver and all the installation can be cleaned by CIP, the PIG can also be cleaned during the CIP routine. The CIP process is finished, the sphere is placed again into the launcher leaving the plant ready for the next production process. Size ranges: From 1 ½" (DN 40) to 3" (DN 80). 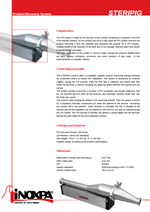 Hygienic design according to the EHEDG specifications. Connections: DIN, RJT, SMS, etc.